Like Xero, DEAR Inventory allows small and medium sized business users to optimise and streamline back-office processes, creating productivity gains and boosting profitability. But businesses that are on a budget need to be sure that they get the right software for their needs. In this blog post, we talk about who the software is for, what it can do and how it can be used to supercharge inventory management. Manufacturers and food producers with scattered material costs, that need to manage inventory and track costs of goods sold. Ecommerce retailers and wholesalers with multiple warehouses and sales channels. Because it is a low-cost, cloud-based solution that links up seamlessly with Xero, DEAR Inventory is ideally suited to smaller and medium sized businesses that want to automate inventory and order management systems. Every business faces their own unique set of challenges, but DEAR Inventory helps solve common inventory and order management issues faced by manufacturers, food producers, retailers and wholesalers. DEAR Inventory works to solve these most pressing problems in three main ways. One of DEAR Inventory’s main strengths is its integrations with other software. We have already said that the software integrates with Xero for a smoother accountancy experience, but the software also integrates with other platforms too. Retailers can sync DEAR up with great ecommerce platforms like Shopfiy, WooCommerce and Magento as well as marketplaces like eBay, Amazon and Etsy. The software can also be used with payment and sales platforms like PayPal and Capsule CRM as well as shipping platforms like ShipStation. The software tracks everything in real-time, so you always have up-to-the-minute insights. Tracking and reporting of inventory is also automated through the whole order management process. Businesses use inventory and accounting information to inform all sorts of decisions. Automated inventory management and reporting systems mean that firms can establish the true cost of their goods. The reporting system can also handle specialised functionality, like management of food inventory through batch tracking and expiration date tracking. Real-time financial data means that businesses can maintain a strong cash flow position and make better decisions to keep the business moving in the right direction. Having information about inventory, sales and financial information all-in-one place is easy with DEAR Inventory. The user interface lets you switch between applications seamlessly, giving you fast access to reports and metrics in a few clicks. It makes back room processing operations quick and painless and allows you to make better decisions for growth. 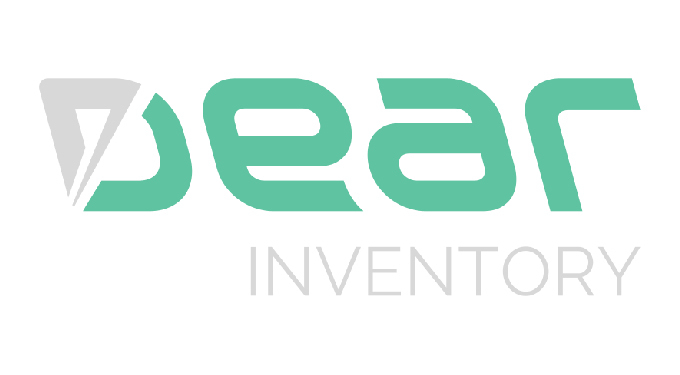 DEAR Inventory was originally created as a double entry accounting platform. But the systems work best as complementary solutions. DEAR Inventory integrates seamlessly with Xero, giving you access to top accounting and inventory management software. To find out how to integrate the systems, speak to a member of the team today. Call: 0808 281 0303.